It can often be difficult to either stop or cut down on a substance or rid yourself of a habit that you always feel you've enjoyed. Whether it is smoking, alcohol, shopping, gambling, eating unhealthy food, or using internet chat rooms, once you've decided to make a change, temptation gets you. 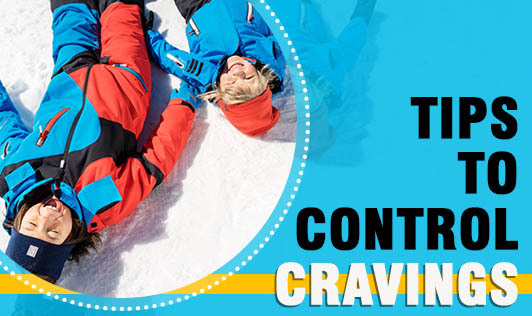 Cravings can be triggered in many ways, such as being with others who indulge in the same things as you, or going to a place that reminds you of the it. During such time, feeling angry, anxious or even happy can also trigger cravings. Understanding how cravings work and planning how you can deal with them is the key to managing them efficiently. Self awareness. Get to know your own unique patterns or behaviour. Do you tend to always associate a drink with a cigarette? Do you only eat unhealthy food when you're feeling sad or when you're feeling happy? Do you tend to use the internet more at night? A Cravings Diary is a good way to help you deal with this. Every time you have a craving, write it down in a journal and write why you shouldn't be giving in. Plan ahead. As you build awareness of your own behavioural patterns, start preparing yourself for those times when you're most likely to turn to the behaviour that you're trying to change. This could be as simple as moving into another room, taking a walk, reading, exercising, or calling a friend. It is a good idea to know what distraction activities you will use in advance, so that you can act immediately when the cravings start. Get to know your cravings. Whilst it may not be easy, it may not always be as tough as you think. Keep a realistic track of what a craving actually feels like, how long each craving 'episode' really lasts for, and what you may be able to do to distract yourself. Set achievable goals. Whether you've decided to cut down or stop, think in terms of hours, days or minutes rather than weeks. This makes your goal more realistic and therefore more achievable. Track your results. This will depend on the activity you are cutting down on or giving up, but a good example could be putting money into a jar which you would have otherwise spent on cigarettes, or a shopping trip. Being able to see how much you are saving can motivate you to continue. Seek out success stories. Talking to others who have been able to change their behaviour can inspire you to do the same and will reinforce the belief that you can do it too. Reward yourself. Making positive changes in your life takes effort and you deserve to feel good about the progress you have made. Don’t give up if you slip up. Get right back on your path and you WILL succeed.